Amazon tried to penetrate the tablet market lately with its new Kindle Fire, trying to create a cheap yet quality alternative to Apple's iPad, by far the most dominant tablet computer. As we learn today from the New York Times, it might be more difficult than what it looked like to Amazon in the first place. The article ("As Kindle Fire Faces Critics, Remedies Are Promised") reveals that the Kindle Fire is generating a lot of negative customer feedback and therefore Amazon Amazon, although it does not say so, is soon likely to release an improved version of the device. What's wrong with the Kindle Fire? The article explains: "A few of their many complaints: there is no external volume control. The off switch is easy to hit by accident. Web pages take a long time to load. There is no privacy on the device; a spouse or child who picks it up will instantly know everything you have been doing. The touch screen is frequently hesitant and sometimes downright balky." But Amazon can't count on it, which is why we're going to see soon, according to the article probably in the spring, an improved version of the device. The lesson to Amazon is clear - you need to come more prepared when you try to penetrate new markets and generate high expectations of your new products. The lesson to consumers is also clear - don't buy the Kindle Fire now. 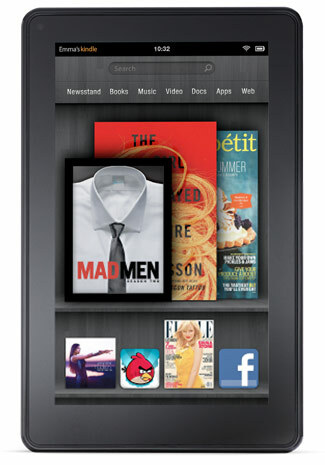 Save your money and wait for the Kindle Fire 2.